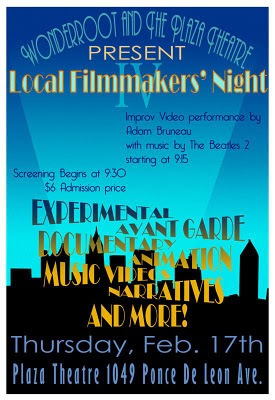 This Thursday, ASIFA-Atlanta is presenting 3 animated shorts for Local Filmmaker's Night! A painterly 3D animation and the Audience Choice Award Winner for Roll Yer Own 2010, ASIFA-Atlanta's annual showcase for local, independently produced animation. Animation Draw is a compilation of drawings completed by a variety of artists during one session. Participants may choose to work independently or build on the work of another artist. An Animation Draw alum, Chelsea explores temporal memory, space and movement in this experimental piece.